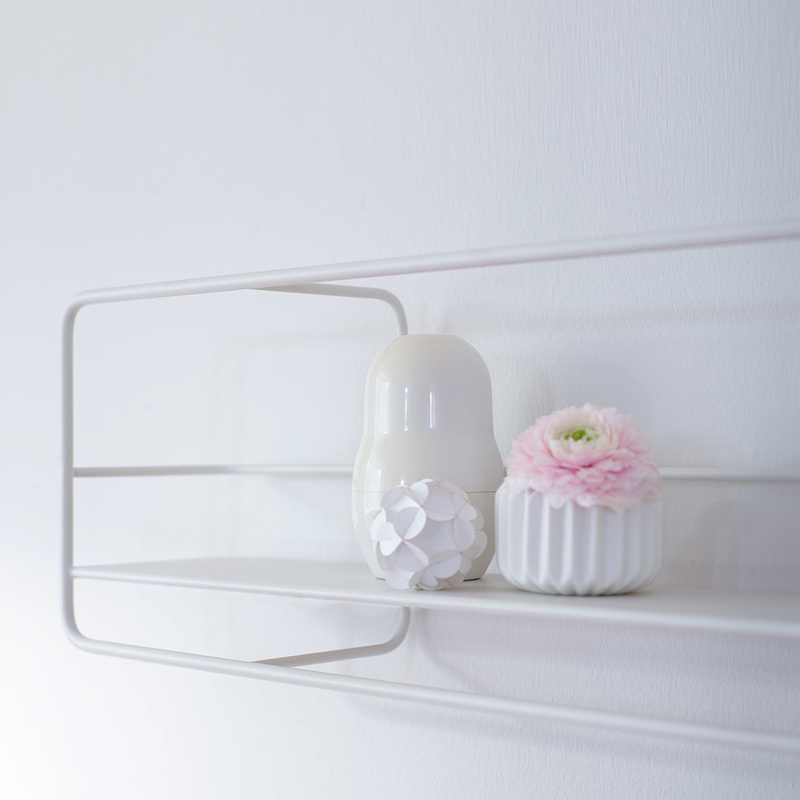 The Coupé horizontal shelf is designed by Finnish design studio Poiat. The form of the Coupé shelves draws upon the influences of roof racks from vintage sport and coupé cars. The aim of the design has been to create a multi-purpose piece of furniture that works well in small spaces like kitchens and bathrooms and fills the needs from hanging towels to store everyday items like toothbrush or spice jars. With their sculptural and frame-like structure, the Coupé shelves works well even when empty. 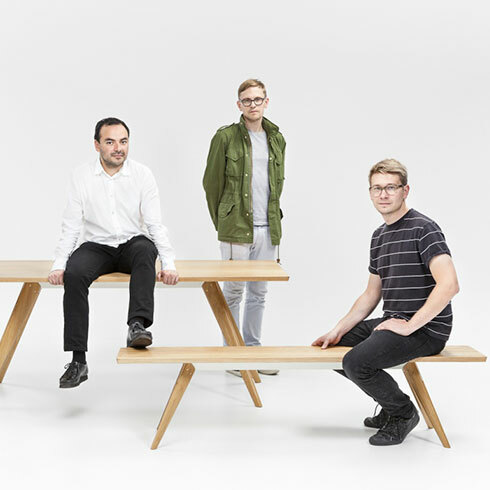 About the designers: Poiat architecture and design office is a Finnish collaboration of three young designers Antti Rouhunkoski, Timo Mikkonen and Marco Rodriguez. 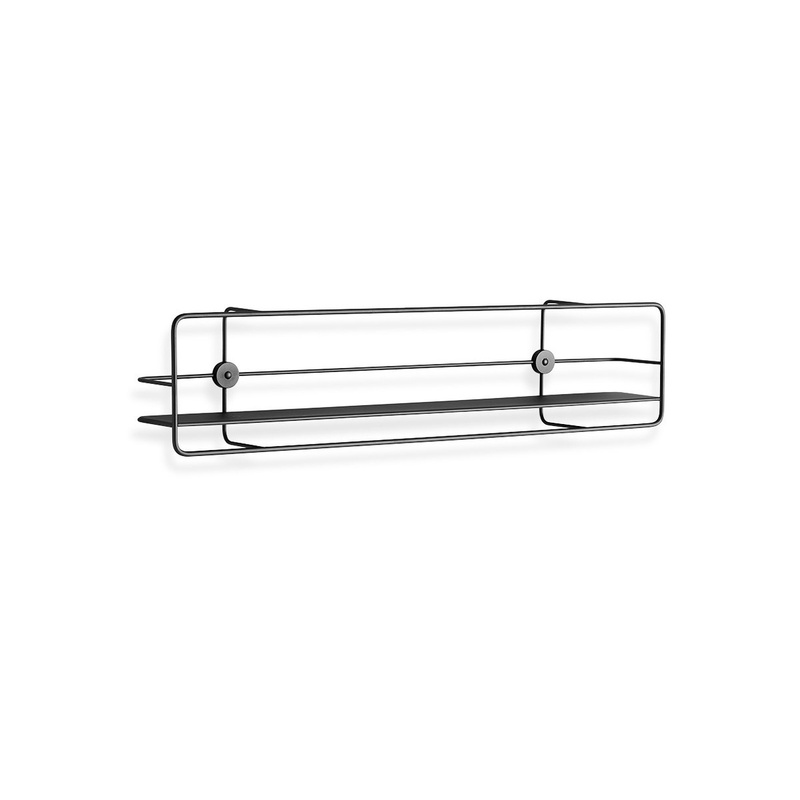 This multifunctional shelf here comes in a horizontal version, but it is also available for sale online in a vertical or rectangular style, equally as beautiful as the horizontal one is. 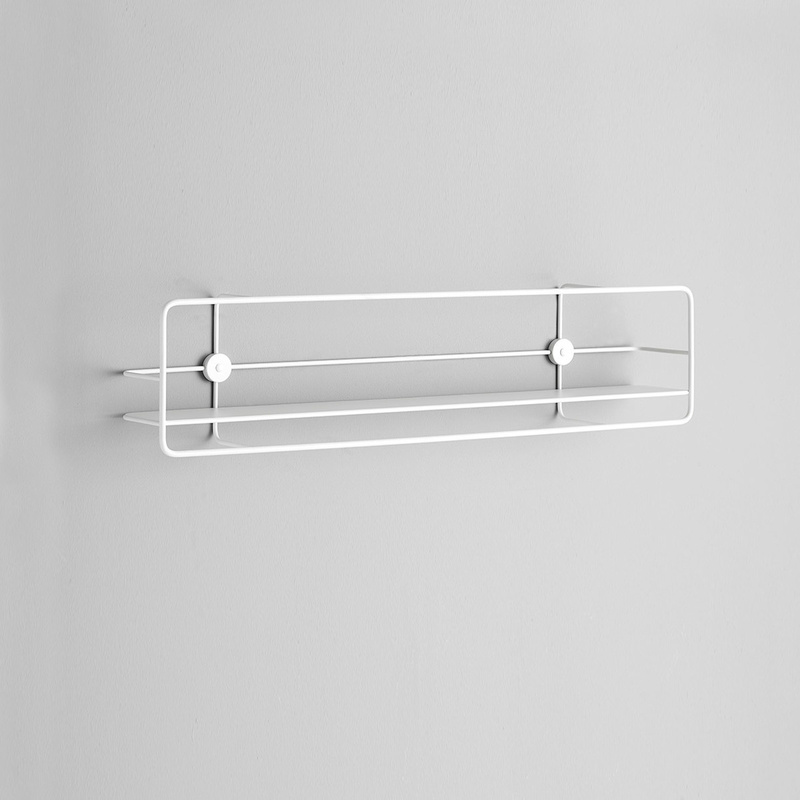 Minimalist yet original, this wall-mounted shelf is made from metal and is available on sale online in two colour options that prove as essential as its shape is - black or white. The aim of the Poiat design studio is always to create spatial experience and integrated spaces that are atmospherically unique. Material, with layers of history and visual cultures, bold but long-lasting, classic yet lively. The fundamental elements of the collection are quality materials and the quiet luxury of beautiful forms. The Coupe horizontal shelf is compact enough to allow the juxtaposition of several ones to create a beautiful, personalised composition. Its simple, streamlined shape is ready to be made yours by adding photo frames, small flower pots, travel souvenirs or knick-knacks. 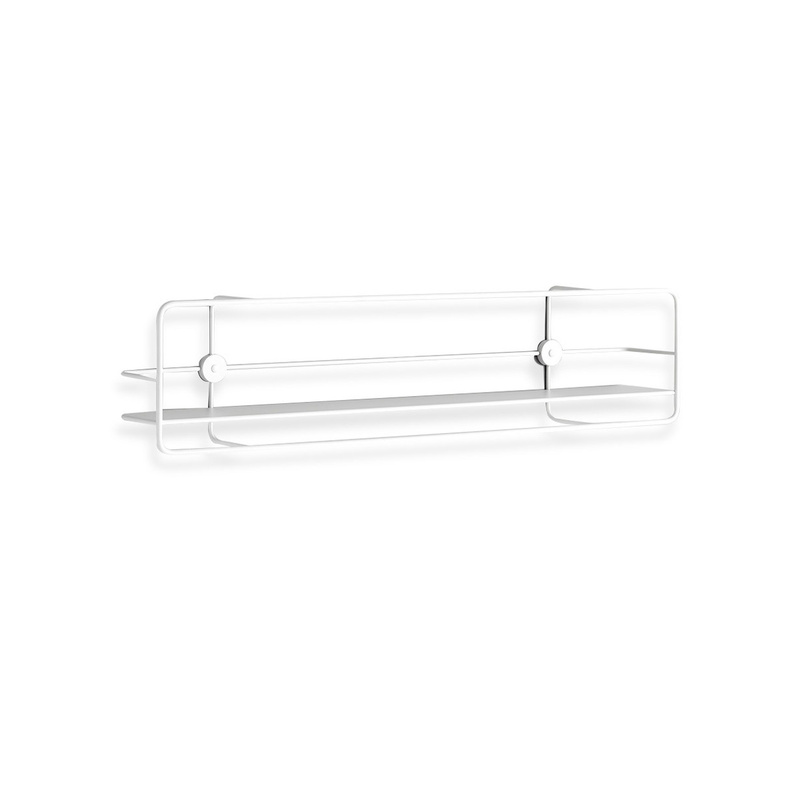 If used in the bathroom, it serves beautifully as a support for shampoo jars, make up, lotions or other bottles. In the kitchen, it allows you to store elegantly spice jars, tea pots or anything else you might want to leave in full sight, beautifully framed. Poiat is a Helsinki-based architecture and design office established in 2010. It designs objects and interiors - from private homes and corporate headquarters to retail spaces, restaurants, cafés and furnitures. 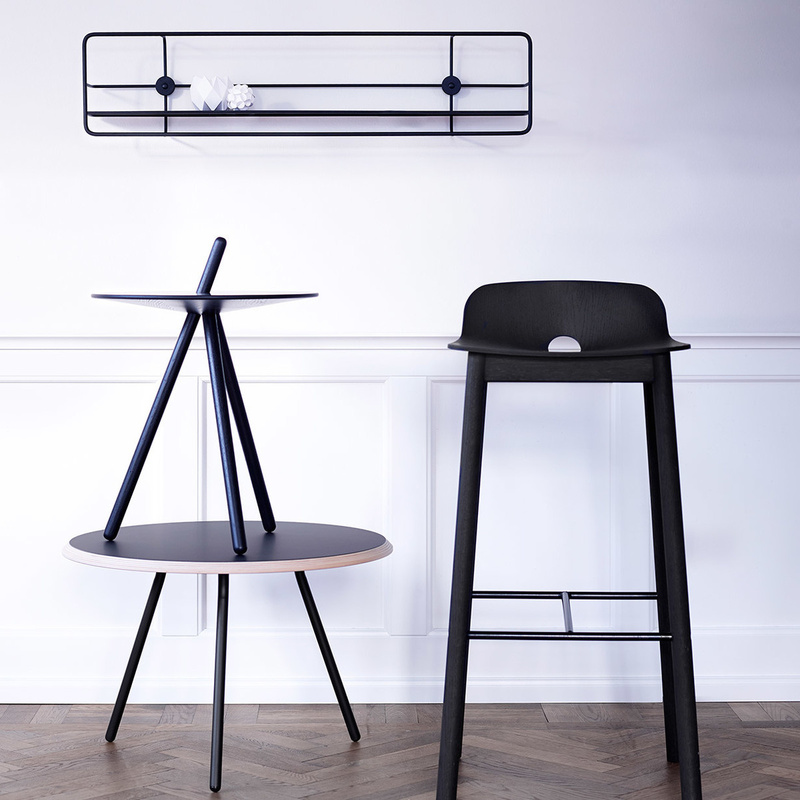 In 2014 Poiat launched its own furniture collection. Founders Antti Rouhunkoski, Timo Mikkonen and Marco Rodriques have a simple philosophy of design: creating a strong atmosphere and vision. Aesthetics - the fact that something is beautiful - can outweigh functionalism if something simply feels good. The aim is always to create spatial experience and integrated spaces that are atmospherically unique. Material, with layers of history and visual cultures, bold but long-lasting, classic yet lively. The Poiat handprint can be seen in flashes of the past and future, dreams and contemporary details. One of the office`s recent projects has been a new retail concept for the Finnish suit brand Turo: a complete entity ranging from furniture to the smallest details. Poiat´s award-winning and internationally-recognised Lavitta collection of tables and chairs is being sold in more that 10 countries. The fundamental elements of the collection are quality materials and the quiet luxury of beautiful forms. 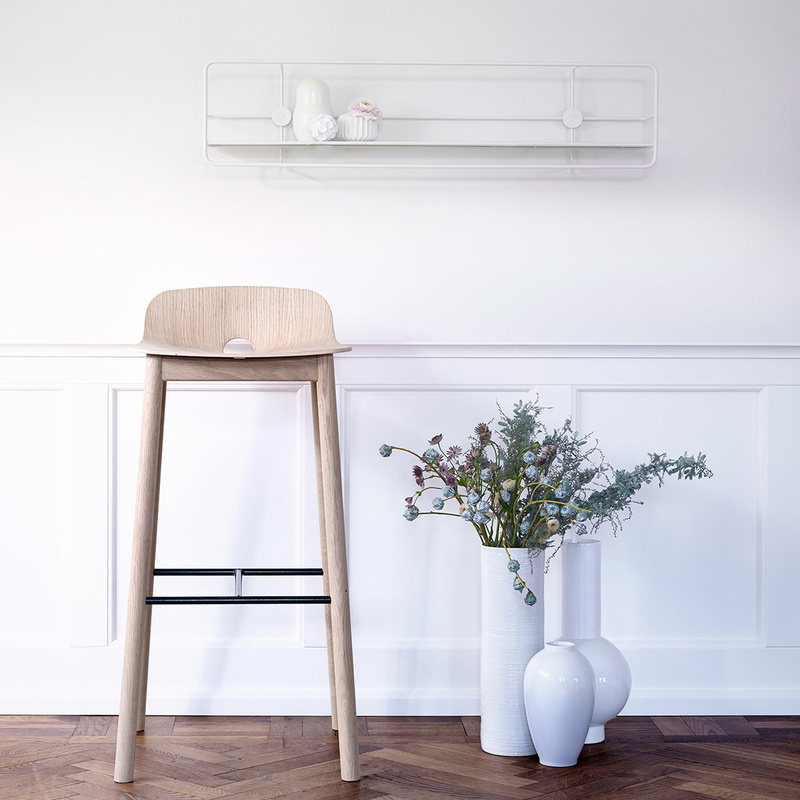 Woud offers a high quality range of design furniture, lighting and home accessories. Its mission is to create long-lasting original design within a universe where every product has a meaning, a purpose and a function. It works hard to deliver products where perfection and simplicity shine through in all aspects.